Amsterdam is without a doubt one of the coolest cities in the world. The canals are beautiful, everyone rides bicycles and the locals are a trendy, accepting bunch. The Dutch capital is so welcoming that it’s become the home of 180 different nationalities. It’s a lot of fun too, with its winding shopping streets, electric nightlife and famous coffeeshop scene. On this page, we’ll tell you all the important things about life in the city, from healthcare and housing to the very best restaurants. You’ll be an Amsterdammer before you know it. Amsterdam started as a small fishing village in the 13th century, back when there were far fewer bike lanes. They built a dam on the River Amstel and the city’s name was born: Amsteldam. We don’t know what happened to the ‘L’. Amsterdam became a whole lot nicer in the 17th century when they built the canal system. Those canals have seen some serious action, from the days of elegant merchant ships to the present-day party boats full of drunk Brits on a stag weekend. We don’t know what the future will bring for Amsterdam, but it’s all looking very exciting. What’s a new life in Amsterdam without all your old furniture? If you’re planning on moving over there, we assume you’ve got a few things to bring along. Check out the estimates for transporting 20ft and 40ft containers from London to Amsterdam, sourced from World Freight Rates. We’ve based these rates on the port-to-port transportation of a full container load of household goods worth $55,000 (or £40,000), which is the average value of the contents of a three-bedroom house (estimate by Admiral Insurance). Please note that these estimates do not include services such as professional packing, door-to-door delivery and basic insurance cover. Our shipping suppliers usually incorporate these services into their rates, so you should expect some discrepancy between the prices given here and any quotes you may receive. Please use this table as an indication only. 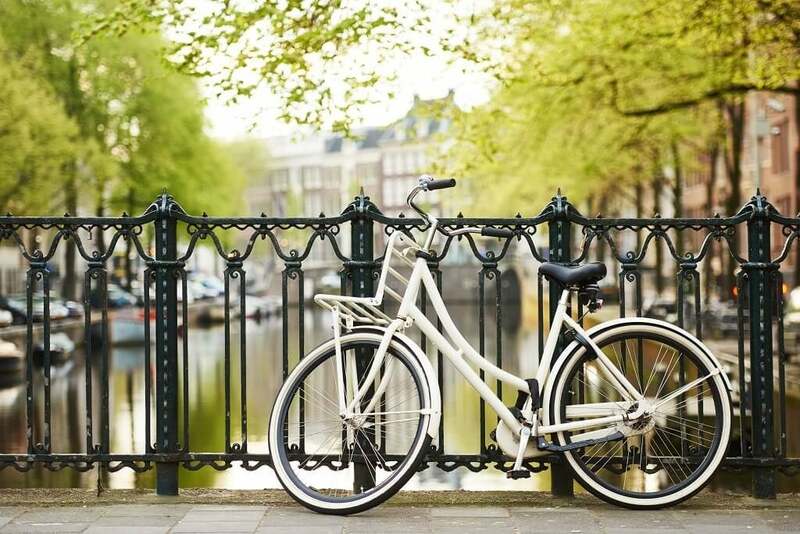 It’s probably best not to get your heart set on all those canals and bicycles until you know that you can get there. Furniture is important to your move, but you are essential to it. If you are coming from the EU then moving to Amsterdam is rather easy, but things get a little trickier if you’re coming from elsewhere. Any EU citizen automatically has permission to live and work in the Netherlands in the long term. Once you arrive, make sure you register with the city hall in the first five days. They’ll give you a Citizen Service Number (BSN), which means you’ll be able to open a Dutch bank account and pay your taxes. However, after the UK has left the EU, these rules won’t apply to the Brits. Unfortunately, any non-EU citizen is not automatically blessed with permits to live and work in the Netherlands. If you’re coming from outside the EU then you’ll need a combined residence and employment permit (GVVA), which heavily depends on you having a job offer from a licensed Dutch company. However, an employer in the Netherlands can only offer a job to a non-EU candidate if they are able to prove that no EU-based candidates were available or suitable. If you are a ‘highly skilled migrant’ then the process is a bit easier, as you don’t need a work permit. There are some very useful resources available online, including the VFS and Iamsterdam websites. You’re probably wondering who actually lives in Amsterdam. It’s a popular tourist city, but of course there are locals too – nearly 850,000 of them. The number of expats in the Dutch capital is somewhere between 50,000 and 100,000 (nobody’s very sure), so you certainly won’t be alone over there. 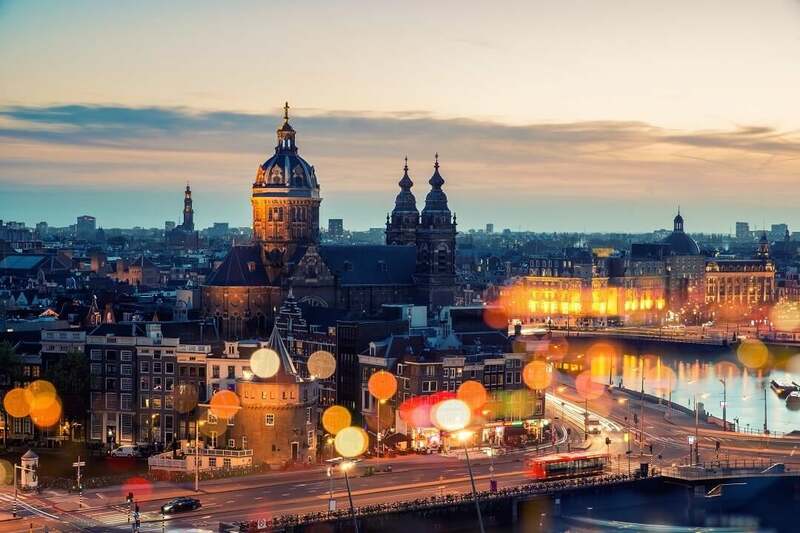 Amsterdam’s population is currently experiencing a bit of a boom, with the highest numbers of foreign nationals coming from India, the USA and the UK. If Amsterdam were a type of weather, it would be one big beautiful rainbow. The locals are very proud of their multiculturalism, and rightly so. With 180 different nationalities, Amsterdam is one of the most diverse cities in the world. Nearly 50% of its population is made up of ethnic minorities, with particularly strong Indian, Moroccan and Japanese communities. Unsurprisingly, Amsterdam has an incredible food scene. The official language is Dutch, but English is extremely widely spoken. It’s polite to learn a few basic phrases (see below) but you’ll be impressed by everyone’s knowledge of English. The weather in Amsterdam is a mostly mild affair. It doesn’t sound very exciting, but at least you’re never going to be too hot or too cold. The average temperature in the winter months is 3.5°C and in summer it’s a moderate 17°C. While that’s all lovely and mild, Amsterdam does have to deal with some pretty gusty wind from the west. To make things a little worse, the strongest winds blow in winter time (being 25 km from the North Sea has its disadvantages). If you wear a hat, make sure it has a chin strap. Winter (December to February) temperatures are around 3.5°C on average, although it can drop to 0°C at nighttime. Nobody likes super cold temperatures, but very occasionally the canals freeze and it’s really magical. There’s ice-skating and laughing and Amsterdam becomes a winter wonderland. The last time this happened was February 2012. Spring (March to May) is when all those famous tulips come into bloom. It’s a multicoloured extravaganza that spreads throughout the city. Temperatures warm up, reaching highs of around 10°C, although there is also a lot of rainfall. Summer (June to August) hots up a bit, averaging around 17°C but reaching highs of 22-23°C in July. The tulips have gone but there’s loads of sunshine, so the city’s many parks become glorious places to hang out. Autumn (September to November) brings lots of golden-brown leaves to the city, so its quaint European charm gets even quainter. As it nears winter and the winds pick up, temperatures fall to about 10°C and below. Time to get your coat out again. They’ve got the best of both worlds in Amsterdam; the centre of the city is compact and extremely walkable, but the public transport systems are great too. If your legs are tired, simply hop onto one of the many trams, buses, trains and ferries operated by the Gemeentelijk Vervoerbedrijf (just call them GVB). Most services start at 6am and run until 12:30 at night, so it’s taxis home after a big night out. People pay for all public transport with the OV-chipkaart, which you buy once and then have to top up with credit (like London’s Oyster Card), although short-term disposable cards are also available. You could go full tourist and get the Iamsterdam City Card, which gives you entrance to loads of attractions and use of all public transport for a certain period of time (usually 24-72 hours). There’s “bike-friendly” and then there’s Amsterdam, containing over 400 km of bicycle paths. You can’t write a page about Amsterdam without mentioning the bikes; the city is swarming with 881,000 of them (outnumbering the population). Instead of the usual car horns in most cities, the centre of Amsterdam is constantly ringing with the tringing of bicycle bells. The metro system is good, but that doesn’t stop 20% of the workforce heading to work on two wheels. We really don’t advise taking a car through the middle of the city, what with the narrow streets and the cyclists everywhere. The Park & Ride facilities situated on the city’s outskirts are a great solution. For driving outside of Amsterdam, there’s a massive network of superhighways connecting the city to the rest of the Netherlands, Germany and Belgium. Amsterdam Airport, known as Schipol Airport, is the fifth busiest airport in the world for international passengers, clocking 58.2 million in 2015. It’s located about 10 km southwest of the city, and you can access it via regular metro and shuttle bus services. The Dutch know how to look after themselves. In 2016’s Euro Health Consumer Index (which rates healthcare services), the Netherlands fought off 34 other European countries to claim top place – and they’ve been the only country to place within the top three consistently since 2005. So how do they do it? The basisverekering, that’s how. It’s a mandatory health insurance scheme that covers a whole range of things, including GP consultations, hospital care, medicine prescriptions, maternity care and ambulance services. The monthly cost starts from around €95-€120 per month, although children under the age of 18 can go on their parents’ plan for free. There’s also an ‘own-risk excess’ of €385, which means you have to pay the first €385 of any healthcare costs you rack up within one year. Once you’ve started living and working in the Netherlands, you’ve got four months to register with a health insurance provider. Ignore it and you’ll get fined. Top Dutch health insurance companies include ONVZ, United Consumers, Besured and ZorgDirect. Not all of Amsterdam’s houses are on land. The locals have found an extra use for the canals and its name is hilarious. That’s right, the waterways are full of woonboots, or houseboats. Living in one of these things sounds rather cramped, but it’s a special experience (so it’s not cheap). Typical rental prices range from around €1,800 to €2,500 per month, while purchasing a houseboat in the centre will cost at least €500,000. If you want to go a bit more traditional and move into a land house, Amsterdam has these as well. The capital’s property prices are higher than elsewhere in the Netherlands, with the average price per square metre being €4610 at the end of 2017 (more than double the national average). 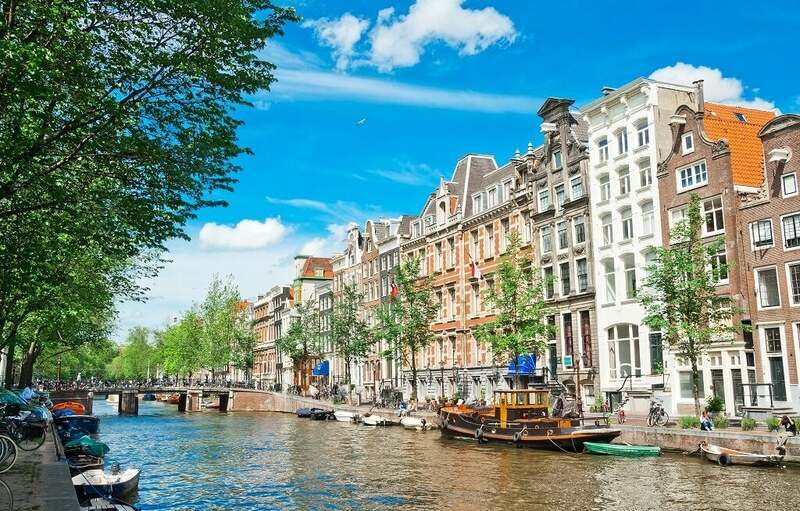 The average property price in Amsterdam is currently around the €409,000 mark, and a rental in the city centre will set you back between €1,800 and €4,000 per month. Like all cities, Amsterdam can be divided up into five simple districts: centraal, noord, zuid, oost and west. No prizes for guessing what those words mean. Each district has its own identity – it all depends on what you’re looking for. Do you want a canalside property in the middle of the city or something a bit further out? We’ve picked out a few of our favourite neighbourhoods. This is where you’ll find all those iconic 17th-century houses packed together in colourful rows, lining the central canal ring (grachtengordel). The rooms are narrow and the stairs are steep, but the properties are truly beautiful. You’re right in the heart of the Dutch action here, surrounded by superb cafes and bars, but it comes at a real premium. If you want something cheaper, you’ll need to move away from the centre. The Old South is a posh part of Amsterdam, but it’s still more affordable than the centre. The avenues are leafy, the houses are spacious and there’s a cracking range of shopping streets. Yes, there are fewer canals, but it’s made up for by the vast Vondelpark, Amsterdam’s largest green space. If you’re moving to the city with children and/or a dog, living near a park is fairly essential. After all, people go to Amsterdam for the grass. If you want something a bit more lively, try the Latin Quarter. Situated in the south of the city, De Pijp is a totally rejuvenated neighbourhood. The government has breathed new life into the area, and now it’s a lively, multicultural mix of creative professionals living on tree-lined streets. De Pijp is full of funky bars and shops, including the open-air Albert Cuyp market. The Dutch don’t mess around when it comes to educating their kids. In the World Economic Forum’s 2016 ranking of school systems around the world, the Netherlands came fifth. What’s more, in 2013 Unicef found Dutch children to be the happiest in the world. Education is obviously jolly good fun over there. After age 12, children are sent off to secondary school, which come in four separate tiers: praktijkonderwijs (practical education) schools generally teach vocations, while the other three (VMBO, HAVO and VWO) offer more academic programmes of varying difficulty. The real brainboxes go to VWO (pre-university education) schools. Amsterdam has some excellent international schools for all the expat children. Annual fees generally range between €3,600 and €6,000 for the government-subsidised schools, and €12,000 and €24,000 for the private schools. Check out some of the top international schools in Amsterdam. The International School of Amsterdam (ISA) was founded in 1964 and it’s based in the southern suburb of Amstelveen. It was the first school in the world to offer the entire International Baccalaureate curriculum. Let’s hope it’s not resting on its baccalaurels. The British School of Amsterdam (BSA) welcomes all nationalities, despite its name. The school opened in 1978 in a British family’s living room, but it now has three campuses all fairly close to each other in the Old South district. There’ll even be a fourth building by 2020. Amsterdam International Community School (AICS) is certainly one of the most affordable international schools in Amsterdam, being subsidized by the Dutch government. It’s situated in the Old South and, like the other two, AICS is an IB World School. For more information, check out this regularly updated list of the spaces available at Amsterdam’s international schools. There’s also a nice map of all the international schools in the city. The student scene in Amsterdam is fantastic. You get to cycle past canals on the way to morning lectures and go to world class clubs at night. In the QS Best Student Cities global report in 2018, the Dutch capital ranked a 27th. There are two universities to choose from. The University of Amsterdam (UvA) got there first. It was founded in 1632 and has an outstanding global reputation. The Times World University Rankings in 2018 put UvA in 61st place, making it one of the best universities in mainland Europe. The UvA has over 30,000 students and campuses in several locations around the city. The Free University (VU, or Vrije Universiteit) came a bit later, opening in 1880 with a campus in the southern end of the city. Ironically, it is not free and you can learn about the various fees here. Job-hunting is a real drag, but fortunately Amsterdam is full of great opportunities. Tourism is obviously a massive industry here, but there are lots of other major sectors, such as banking, insurance and healthcare. Over 150 international companies have offices in Amsterdam, include Nike, Adidas and Tesla. They don’t take work too seriously in the Netherlands; the country topped the OECD’s Better Life Index in 2018 with the best work-life balance in the world. If you feel overworked in Amsterdam then you’re doing something wrong. As an added benefit for expats, you’re entitled to 30% of your salary tax-free for up to eight years to cover your relocation costs. Suddenly that 17th-century house in Centraal seems a lot more affordable. 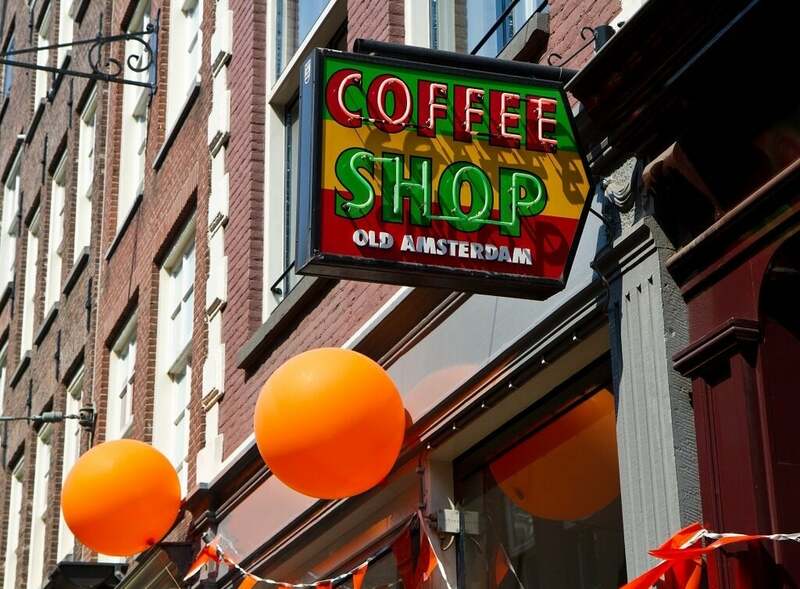 There are lots of helpful online tools for job-hunting in Amsterdam. You should definitely start with IN Amsterdam, a website supported by the government aiming to help highly-skilled migrants find work. After that, check out the job boards on IAmExpat and Expatica. There’s also some excellent recruitment agencies in Amsterdam, such as Kelly Services and Adecco. So what is there to do in the city? We’ve picked out some of the best things to keep you busy on the weekends. Visit the museums. Every city has museums, but Amsterdam’s are some of the best in the world. The Rijksmuseum is the king of them all, full of incredible paintings and located in the beautiful Museumplein. 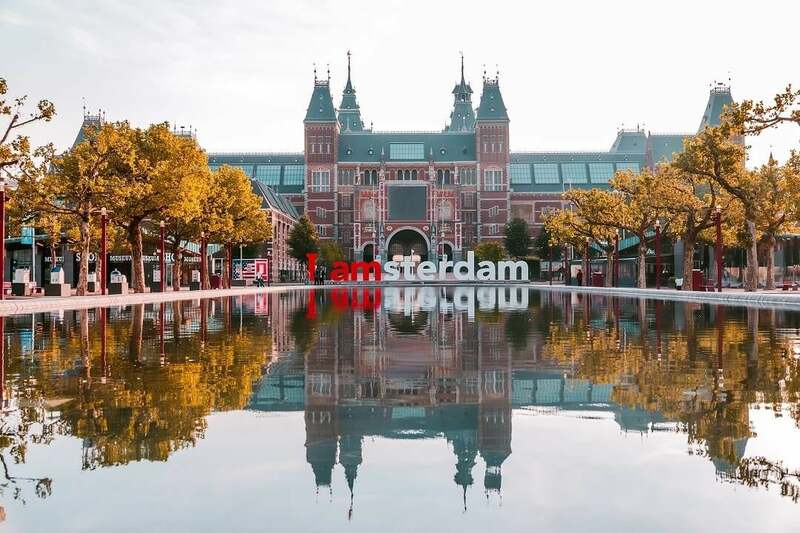 That’s the big square with the 3D ‘iamsterdam’ letters that everyone gets a picture with when they visit the city. Other top Amsterdam museums include the Rembrandt House, the Van Gogh Museum and of course the Anne Frank House. Explore the Vondelpark. This 47-acre park is extremely popular, receiving about ten million visitors each year. Entry is free and the open-air theatre is a wonderful place to watch shows in the summer. Trees, lakes, bridges, cycle paths: the Vondelpark has everything covered. If you love dogs but don’t own one, the park is a great place to go and stare at other people’s. Hop on a canal cruise. Amsterdam’s canals are just begging to be cruised on. Daytime trips are nice, but nighttime trips are amazing. The bridges twinkle with fairy lights and everything gets a bit magical. There are even canal boat restaurants that serve candlelit dinners while they glide along the waterways. Go down the Nine Streets. This is Amsterdam’s shopping scene at its trendiest. The Nine Streets, or De Negen Straatjes, are bursting with boutique shops, from cosy bookstores and gourmet delicatessens to vintage fashion outlets. With over 200 shops to visit, it’s difficult to leave the Nine Streets empty-handed. Amsterdam’s mega multiculturalism means its food scene is equally mega. Here are some of the best places to grab some grub in the Dutch capital. As far as restaurant locations go, De Silveren Spiegel (“the silver mirror”) has got it pretty good. Having dinner there is like going back in time to the Dutch Golden Age; the restaurant was founded in 1614 and it’s still in the same beautifully preserved building. They’re so proud of it over there that all diners are given a five-minute history of the building when they arrive. On weekends, the restaurant offers a sensational tasting menu, ranging from four-course to eight-course meals. Highlights include the North Sea crab with chicken crumble, Zeeuwse mussels with dill emulsion, and three weeks dry-aged Ouderkerkse blonde beef entrecôte. Try saying that with your mouth full! Fancy an Indonesian meal on a boat? The Blue Pepper Restaurant can help you with that. Diners enjoy beautiful Indonesian cuisine while cruising around the city’s canals. Chef Sonja Pereira moved to the Netherlands in 1985 and she brought some seriously good cooking skills with her. Pereira likes to mix local Dutch produce with Indonesian flavours, and the diners seem to like it too. The traditional rijsttafel (“rice table”) menu features some unusual dishes, such as deep-fried grasshoppers, goose lumpia, and jackfruit in sweet curry. If you want one of Pereira’s more experimental dishes, try the ‘Electric stimulations’ or the ‘Cold bath of orange blossom’. As you can tell from the name, Omelegg is almost entirely devoted to omelettes. This place is much cheaper than the first two, serving eggy breakfasts, brunches and lunches every day. It’s a fairly cosy affair, but that just adds to its charm. Dishes include the Billy Goat (goat’s cheese omelette), the Popeye (spinach omelette), the Spicy Mariachi (jalapeno omelette) and the Farm Boy (everything omelette). The menu is packed with tiresome puns, from “eggcetera” to “breggfast”. If you don’t like eggs, don’t bother. The nightlife in Amsterdam is absolutely popping and we’d like to share some of the best bars and clubs with you. Shelter opened fairly recently (2016) but it’s already become a popular party spot in Amsterdam. It’s an underground club, located in the basement of an old Shell tower (hence the name). People talk about bars and clubs that are “hidden away”, but Shelter takes this to a new level. In the daytime, you wouldn’t even know it existed, but after 11pm a hatch in the ground opens up and the fun begins. What fun exactly? Techno and house raves in a dark concrete room. This sounds like a typically overhyped club name, but Sugar Factory is actually based in an old sugar factory, so we’ll let them off. The entrance is less exciting than Shelter’s but the music is better. Techno Tuesdays are always busy, although it’s the Wicked Jazz Sundays we want to talk about. A proper acid jazz band take to the stage and play all night – it’s very cool. The club closes at 5am, so if you wait a couple of hours you can head off for a bleary-eyed breakfast at Omelegg. For something a bit calmer, we recommend Wynand Fockink. It’s a bar and liquor store nestled in an alleyway behind Dam square, housed in a traditional 17th-century building. The bartenders at Wynand Fockink really know their alcohol, and they’ll talk to you about it until the cows come home. With more than 70 Dutch liqueurs on offer, the choice is dizzying. The coolest thing is the way they serve it, filling every glass to the brim and asking you to bend down and sip it (it’s traditional). You might find it helpful to speak to other people who’ve left their home country for Amsterdam. Fortunately, there are a lot of online communities of people sharing their expat experiences. We recommend the Amsterdam forums on InterNations, Meetup and ExpatExchange.